This week, I’m attending art camp at A Work of Heart. Owner, instructor and my friend Andrea Chebeleu will be focusing on Screen Printing and Book Binding. 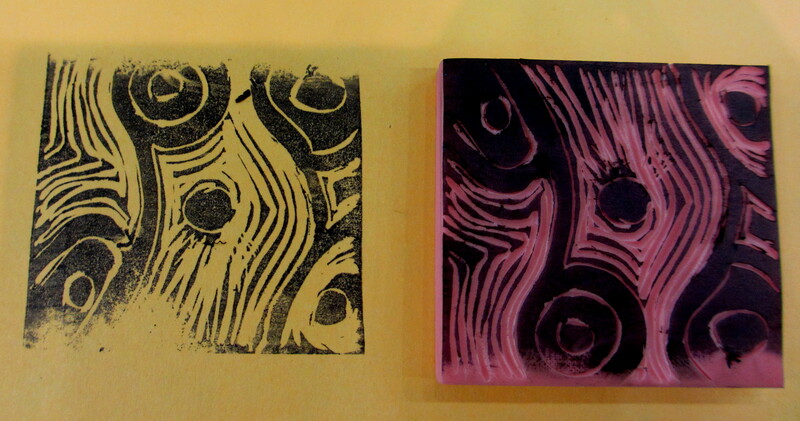 Today’s class featured block printing. 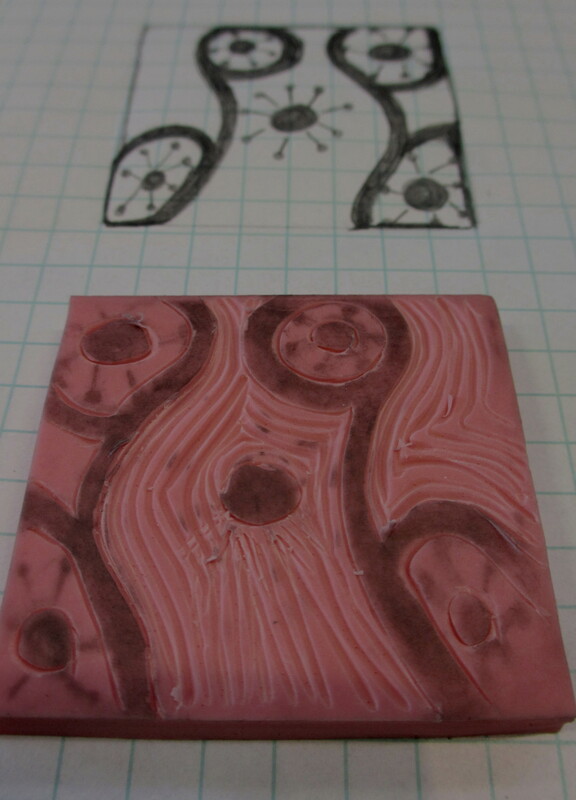 I traced a design free-hand, which was transferred onto the block using a linoleum cutter. At the end of class, Andrea asked, “What did you learn in class.” My response, “To get amazing results, your technique doesn’t have to be perfect.” Her next question, “What would you do differently?” I responded, “Relax!” Hmm…I learned so much today. I’m looking forward to Day #2 of camp.